WHY IS IT IMPORTANT FOR MY FAMILY TO OWN A FAMILY PORTRAIT? As your family grows up, your children will gradually become different people, and your relationships with them will evolve and change. A family portrait immortalizes a particular time in your lives for you to reflect on an enjoy as the years pass. Eventually, your portrait will be passed down through the generations of your family. 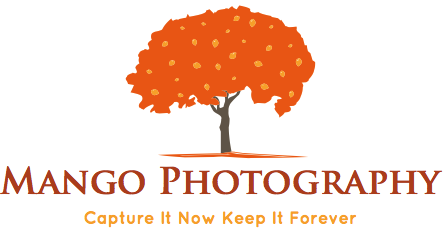 WHY SHOULD I CHOOSE MANGO PORTRAIT PHOTOGRAPHY? Unlike other studios who tend to fall into a few predictable categories of family photography, Mango Portraits has created hundreds of personalized portraits for families in Palm Beach County. Our experience is embodied in our ability to create captivating works of art that are appropriate to your home. Our unique ability to connect with children assures you that your portraits will embody the spirit and soul of your family and children. Simply call the studio to book your session. We will let you know everything necessary to prepare for your session, including what to wear. When the portraits have been prepared, you and your spouse will be able to choose your artwork in a comfortable, enjoyable setting where the portraits can be projected at actual size to help you make the best decisions for your home. The time, talent and resources that go into creating and painstaking retouching each or our photographic portraits is akin to creating an original painting, and the portraiture we create is priced appropriately to the time, cost and talent involved in creating your artwork. Please call the studio for more information. WHEN WILL OUR PHOTOGRAPHY SESSION BE SCHEDULED? We set aside our Saturdays and Sundays just for photography. Reserve your session time early, as we are often booked up well in advance. WHERE WILL OUR PHOTOGRAPHY SESSION BE? We can schedule on location or in studio sessions at our studio in Jupiter, Fl.